Please turn off Ad Blocking to enable Auto-Downloads. There was an error downloading this .torrent file. Please try again. 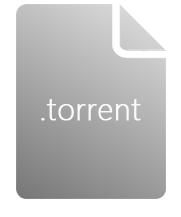 TorrentSafe will make the intial download for you with superfast speed! Now you may download the file from TorrentSafe anonymously. No speed limitation, why would you want to go slow? No ads, no pop up, no registration ... streamlined for ease of use! No gimmicks, give us a try and see why we are the number 1 cloud torrent client! Do you have any free trial? Free users can download unlimited files per month under 1GB at full speed. If you enjoy using TorrentSafe you may become a Premium user. 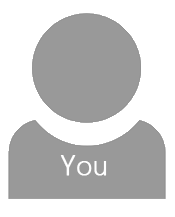 We may offer free Premium accounts in exchange for reviews or promotional activities. Contact us for details or visit us on facebook. How do I use TorrentSafe? Simply find a torrent you wish to download anonymously via a third party, Copy the .torrent or magnet address URL (right click the download execute button not the website url) then Paste on TorrentSafe URL box and click "Download Now". To view your in-progress and completed downloads, click the "My Downloads" at the top. If your download does not show, check back later. After I enered the url I go to the "My Downloads" section and nothing is there? Do not panic. The download needs to process before it is visible, please allow a minute or so. Will clicking every button I see speed up my download? No, please be patient. The download can take awhile to finish. Best to check back later, your file will still be there. Will cancelling my current download and trying the same download again help? No, in fact it may not download that file for you again because it reads as cancelled. My file is completed, how do I get it to my device? Please click the "download" icon in the completed file box. Or, your file can start downloading when ready if "auto download" is enabled. My file will not download to my device? Please disable any ad blocking software and try again. A new tab will open briefly and download will initiate through your browser. Why can I not download more than 1 100gb file at the same time? This is to make sure the system is not overloaded. There is no software. Our service works directly through this webpage. It helps keep everything private and secure. Am I required to provide my information or register to use TorrentSafe? No, your E-mail address is only used to send your license key. Are my torrent downloads anonymous? Do you keep logs of my downloads? Yes, all torrent downloads are completely anonymous. We do not keep logs identifying user download files. Your ISP will not be able to see you downloading any torrent files. How long are Torrents stored on your servers? Premium users can access their files for up to 7 days, free users have 2 days. All incomplete or failed torrents will delete in 24 hours. We recommend that users enable the Automatic Download feature to make sure your torrent starts downloading as soon as it is ready. Can I control the seeding of my torrents? TorrentSafe seeds at a 3:1 ratio to help sustain the torrent community. However, that figure is not gurunteed based on deletion of file. We do not have any feature to allow users to control seed settings per file. Do you block unsafe downloads or viruses? TorrentSafe simply passes your requested torrent download to you, this helps keep files anonymous. Please use discretion before opening any downloaded file. Why is my torrent stuck in the middle of downloading? It will most likely mean the torrent file does not have enough seeders, we suggest you use torrents with large numbers of seeders for best results. Why do some videos files not have a streaming option? Older formats such as some .avi files may not be supported. If a file is not supported, there will not be play option icon. My file disappeared, what happened? This most likely means your file was only partially completed or never started at all. Our system deletes these type of files after a certain period of detecting no download activity. Files need to be supported by seeders in order to download successfully. The file I attempted to download shows there are seeders, however my file says "waiting for seeder"
Just because a site shows there are seeders does not mean those seeders are currently online or currently seeding the entire file. We recommend finding files with double digit seeders for best results. How can I get TorrentSafe to work with my download manager? TorentSafe is compatible with most IDMs, just click the "copy to clipboard" icon in the completed file box. Next open your IDM and paste this url. Torrent Safe is a torrent downloading client. We provide an extra layer of privacy and security to our users. This torrent downloading service requires no registration, we do not track or log your downloads, after the torrent file has passed to the user the torrent is deleted. Using TorrentSafe is easy, simply provide a torrent URL link or a .torrent file that you would like to download and our service will go to work downloading your torrent. In addition to privacy, we use top of the line blazing fast servers with high bandwidth, this allows for greater download speeds than most home ISPs. Go ahead and give it a try, we always welcome feedback and any way we can improve our service, please make your comments in the customer support section. Earn 50% per sale as a TorrentSafe Affiliate!